The M-Ray technology – based on electromagnetic millimeter waves – support fast and accurate measurements. M-Rays are perceived as an innovative alternative to conventional radioactive and nuclear measurement technologies. As opposed to these typically unclean and high-TCO technologies, the M-Ray based measurement systems of Hammer-IMS require no emission licenses whatsoever. The concept is behind the technology is simple, an M-Ray wave is transmitted from a top sensor head. 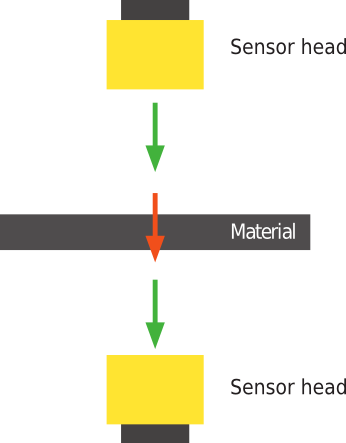 The material to be measured passes the wave after which it is received by another sensor head at the bottom of the material. Our M-Ray-supported measurement systems count how long it takes for the wave to pass through the material. This enables us to get information about the physical state of the material, e.g. thickness or basis-weight. The concept of the M-Ray technology makes it clean, robust, scalable, long-lasting and future proof. The high dynamics of the M-Rays support fast, accurate and high-standoff measurements. The latter stands for a scratch-free customer's product. The M-Ray technology can be used as part of a turnkey measuring solution integrating single or multiple sensors. It has been developed to measure thickness, basis-weight and anomalies of flat non-metallic structures including non-wovens, textiles, plastic films & sheets, synthetic foams, etc. Compared to to competing technologies, which are often based on nuclear technology, Hammer-IMS is not tied to expensive and rare earth materials. With our electronics-based M-Ray technology, we benefit from the size and performance advances described in Moore’s law. 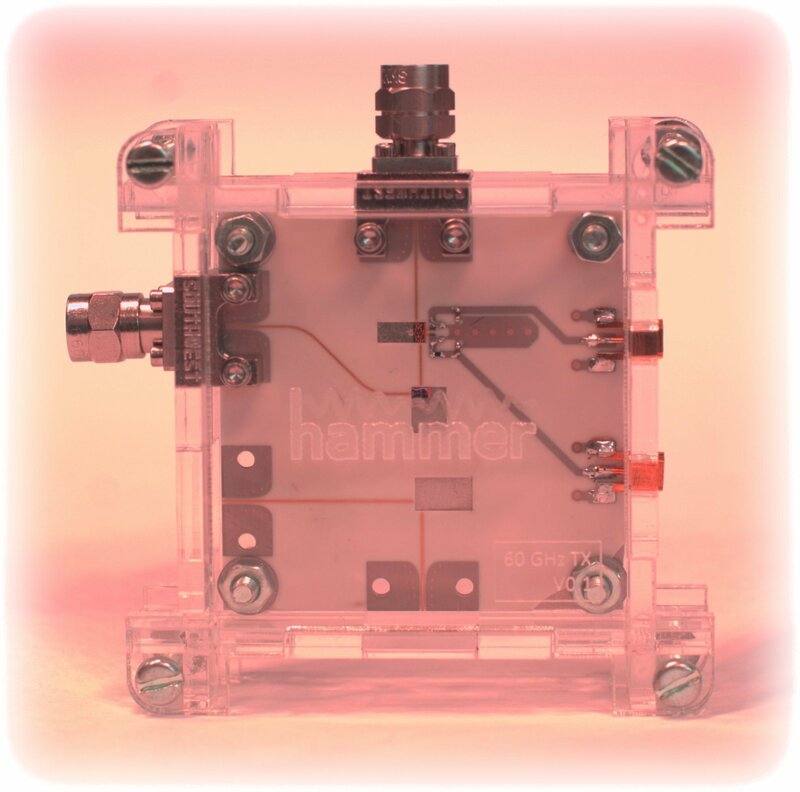 Moreover, the pure electronic nature of the technology ensures that Hammer-IMS measuring solutions are future proof, offering unmatched cost versus performance ratios. Thanks to the scaling laws of the aforementioned electronics and the modular design of the M-Ray-featuring measurement equipment of Hammer-IMS, multi-sensor head measurement systems have become available by Hammer-IMS under the brand name of Marveloc 602-CURTAIN. The multi-sensor head ability of the M-Ray technology enables applications where high material coverage is required. This revolutionary M-Rays measuring technology is based on 8 years of research in the KU Leuven university (ESAT - MICAS research group), conducted by general manager dr. N. Deferm (Noël) and technical & product manager dr. T. Redant (Tom). Noël specialized in the high-frequency technology itself. Tom developed methods to retrieve useful dimensional information from the environment. Noël and Tom discovered that the electromagnetic waves slow down when penetrating materials such as paper and plastic. The longer their travel time the thicker or heavier the material. Through accurate time measurements, they succeeded in accurately measuring the thickness or the basis-weight of a range of materials. 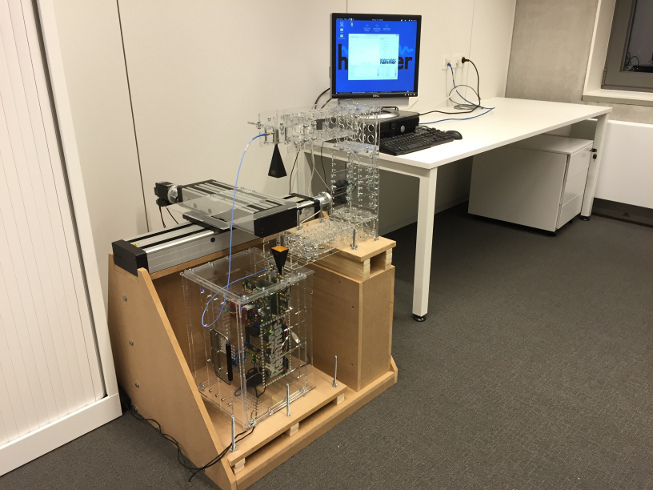 Multi-disciplinary engineering excellence enabled Noël and Tom to realize economically-viable precision and robustness levels for their M-Ray millimeter wave technology. Back in the days at KU Leuven, the founders decided to partially publish the M-Ray technology in a leading industrial journal. A few months after moving to the Corda Campus in Hasselt, Belgium, Hammer-IMS has been featured as a news item on the business TV channel ‘Kanaal Z’, showing some insights in the technology. 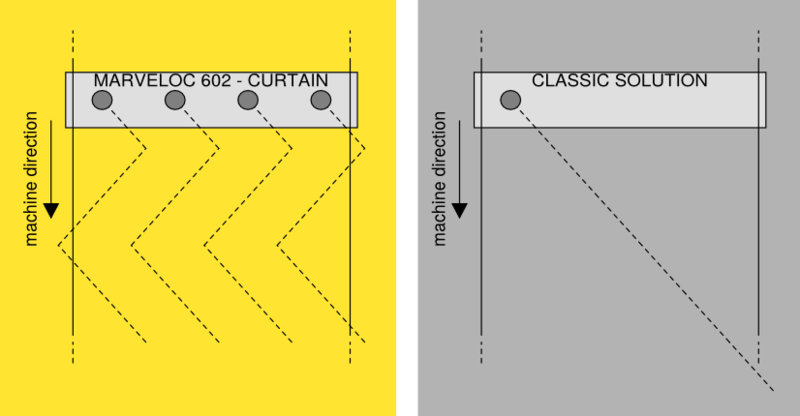 The M-Ray technology is available as part of Marveloc 602 single-sensor products or integrated into a Marveloc 602-CUBE or a Marveloc 602-CURTAIN.